AU Group has just launched its G Grade which is designed to allow companies to review the risks associated with doing business in various countries. G Grade is different from other rating sites because it provides information based on actual risk being underwritten by insurers and not on theoretical assessments by economists. As the leading global specialist broker for credit insurance, AU Group negotiated with all of the major credit insurers and obtained their agreement to use their individual country grades. These grades are based on the € billions of receivable risk which they underwrite for existing clients but the scoring system differs from insurer to insurer. AU has gathered and consolidated these different grades – so AU’s clients can assess the best, worst and average scores for each country. 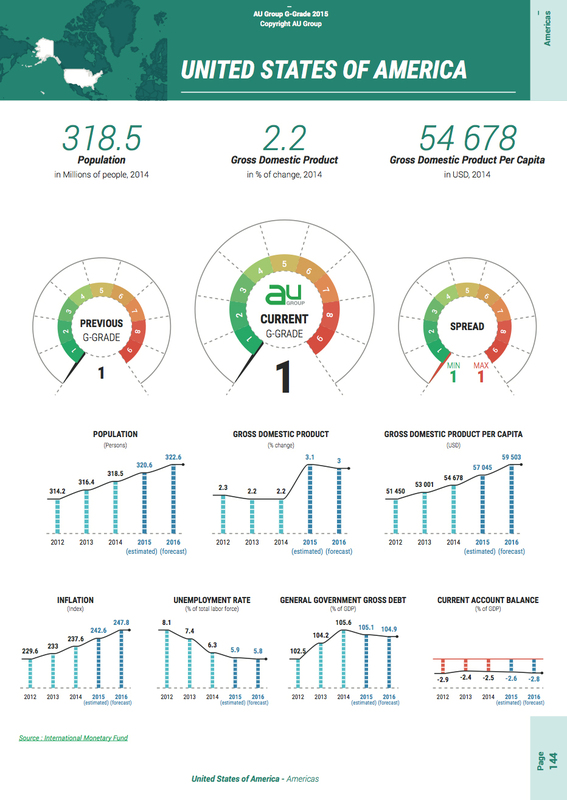 In addition, AU has included for every country, seven key indicators provided by the IMF Statistics Department. The scoring is visually very easy to follow. 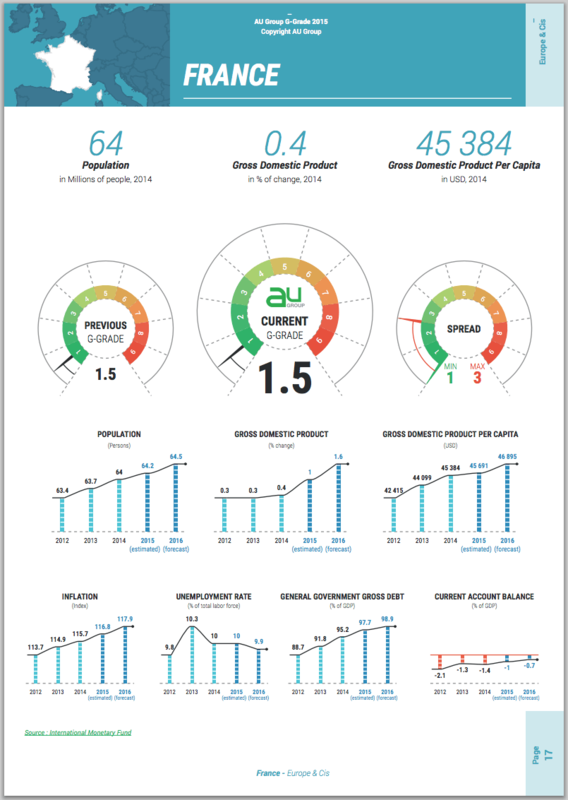 The G Grade is available to be downloaded on a regular basis and will enable readers to follow rating trends quarter by quarter.